India’s second largest car manufacturer, Hyundai India has brought in a new automatic variant for their popular Grand i10 model. Grand i10’s Magna trim which is currently in the offering gets a 4-speed automatic transmission and the car is priced at Rs 5.91 lakhs (Ex-Showroom Delhi). 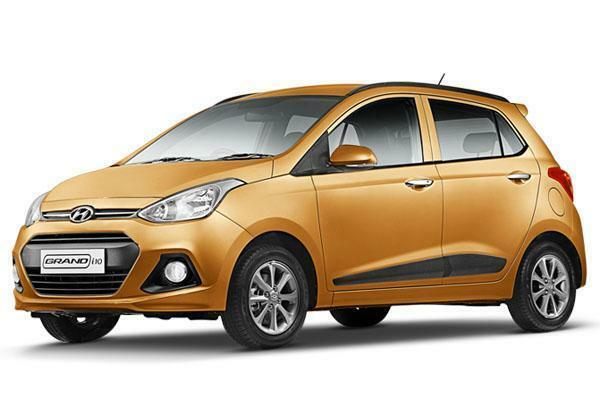 Grand i10 Magna Automatic variant is also available in metallic livery and the car will retail at Rs 5.95 Lakhs. The Automatic variant of the Magna which is in the offering is available only in petrol version. Very recently Hyundai celebrated its 20th Anniversary by launching the special edition of Hyundai Grand i10 Sportz. The Grand i10 is made available both in petrol and diesel variants. The all new Hyundai Grand i10 Magna AT is powered by 1.2 litre Kappa Dual VTVT engine. This 1197cc petrol engine is capable of churning out a maximum 81 bhp of power at 6,000 rpm and delivers 113 Nm of torque at 4,000 rpm. The engine is mated to a 4-speed automatic transmission gearbox. The top trim of Hyundai Grand i10 – Asta is also available in automatic transmission version. By making all the existing popular models Automatic ready – Hyundai is taking its competition from Maruti Celerio AMT and the Brio Automatic seriously. In the month of April, Hyundai launched the automatic variant of their Creta (Petrol) with a starting price tag of Rs 12.87 lakh. There were many discounts offered by Hyundai on account of 20th Anniversary.